Have you ever watched the Animal Planet and you see Steve Irwin or one of these other hunky guys going through the jungle and catching all kinds of cool animals and they try to convince us they are cute and how needed they are? 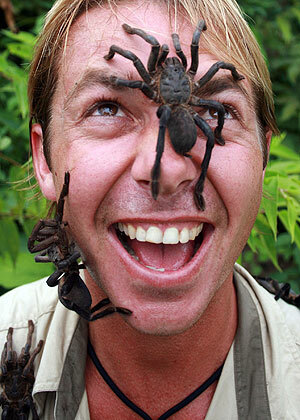 One of the shows that the late Steve Irwin did was where he was saying how nice and gentle tarantulas are. He never convinced me that these humongous spiders with fangs that look like they could swallow a person is a good thing. Most of the time during the day I do very little television watching. For the most part I watch before I go to bed. One of the nights I had Animal Planet on and woke up with the televisions still on. Steve Irwin was playing with spiders and letting them crawl up and down his arm and head. Not a good image before going to bed or waking up from. I can almost guarantee anyone that I would end up having a nightmare about a huge tarantula the size of a Mack truck trying to eat my face. It is looking down at me and by ESP is telling me that I am his next meal. Thankfully this horror of a nightmare ends when I wake up in a sweat and making sure all parts of my face are in tack. Well, last night was one of those nights that took me back to Steve Irwin and the tarantula face eating spider. My doctors put me on what is called a vpap machine for at night or when I sleep. I have been on oxygen for a while, but just starting with the vpap. It looks very much like a cpap/bpap machine. But this one is for central sleep apnea. I do also have obstructive sleep apnea and my breathing collapses they said on the average of 68 times an hour. I will give you a description of what that means here in a few. But with this machine, you have to wear a mask. Since I don’t breathe out of my nose and only through my mouth, I have to use a full mask at night. For the most part it didn’t bother me, but my nightmare was about to return. I finally get somewhat comfortable about 3 or 4 and get a bit of sleep. I get into my REM sleep and then I have a dream. Or should I say a horrible nightmare. Here comes those very same tarantulas that use to invade my dreams. This time it wants to devour me. I wake up in a sweat and try to throw the thing off of me. Thinking it is a real tarantula, lol. But it didn’t go anywhere. It was latched on and sounding like Darth Vador. Not COOL! It takes me a few minutes and some hyperventilation techniques to calm myself down and to find the buttons to get this blasted thing off my face. So, now I am awake and thinking about tarantulas eating my face. I hope tonight goes better. I don’t know if I can handle Mack truck sized tarantulas for a second night. In central sleep apnea, breathing is disrupted regularly during sleep because of the way the brain functions. 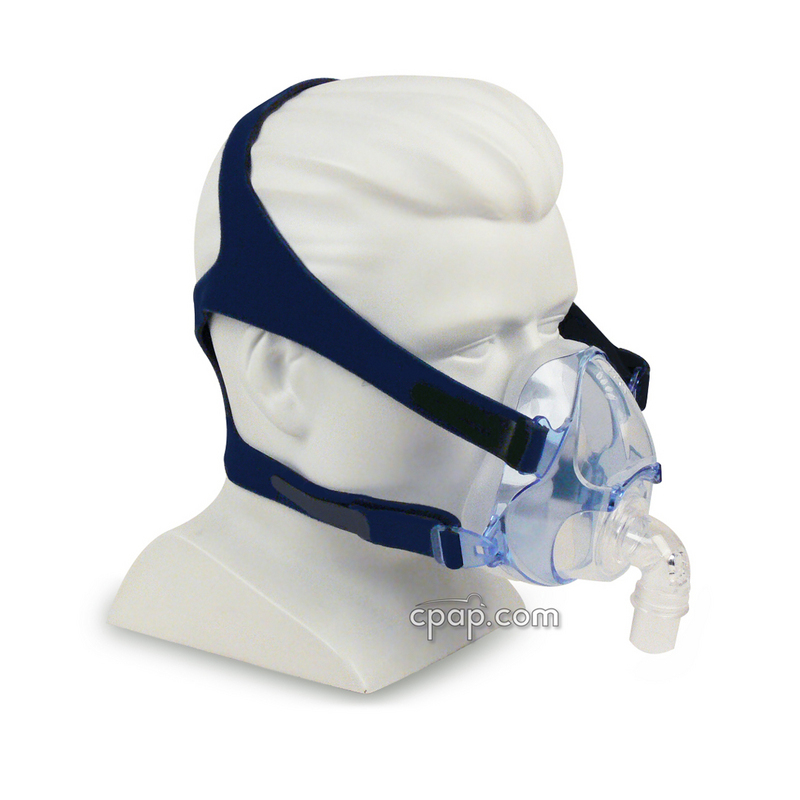 It is not that you cannot breathe (which is true in obstructive sleep apnea); rather, you do not try to breathe at all. The brain does not tell your muscles to breathe. This type of sleep apnea is usually associated with serious illness, especially an illness in which the lower brain-stem — which controls breathing — is affected. In infants, central sleep apnea produces pauses in breathing that can last 20 seconds.